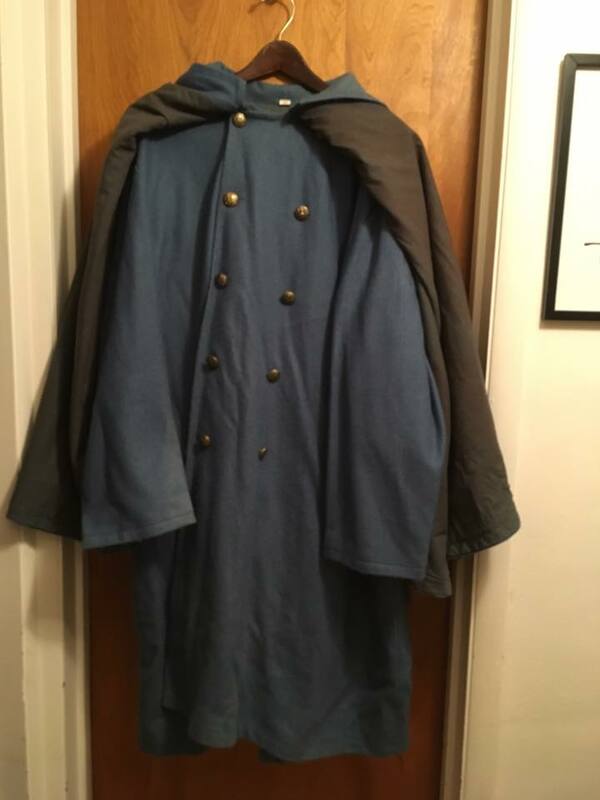 Great Coat, size 48 +, has some wear but in overall good condition, cape alone has over 4 - 5 yards of wool. 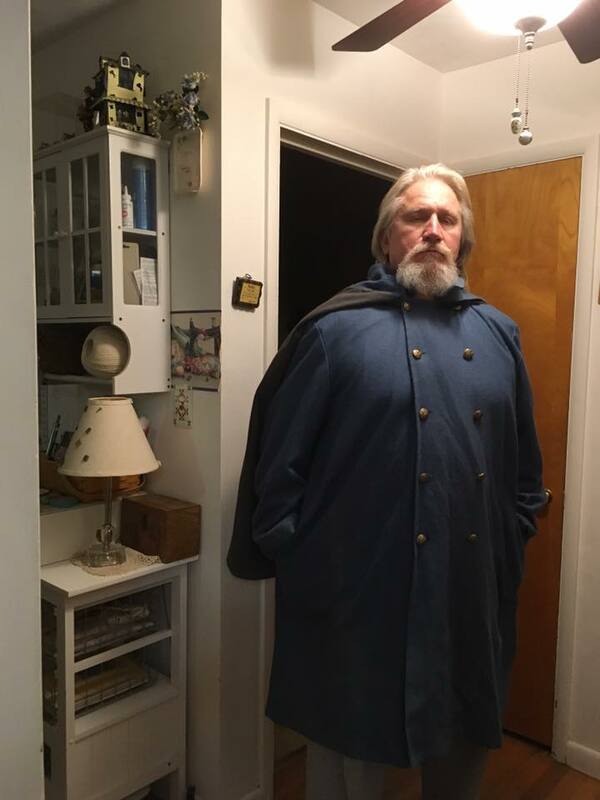 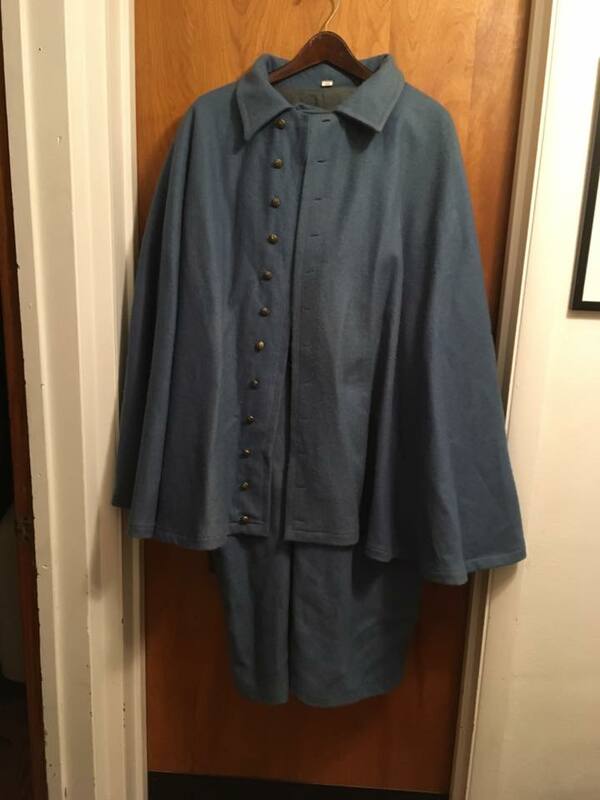 Great Coat-marked size 48, but very roomy. 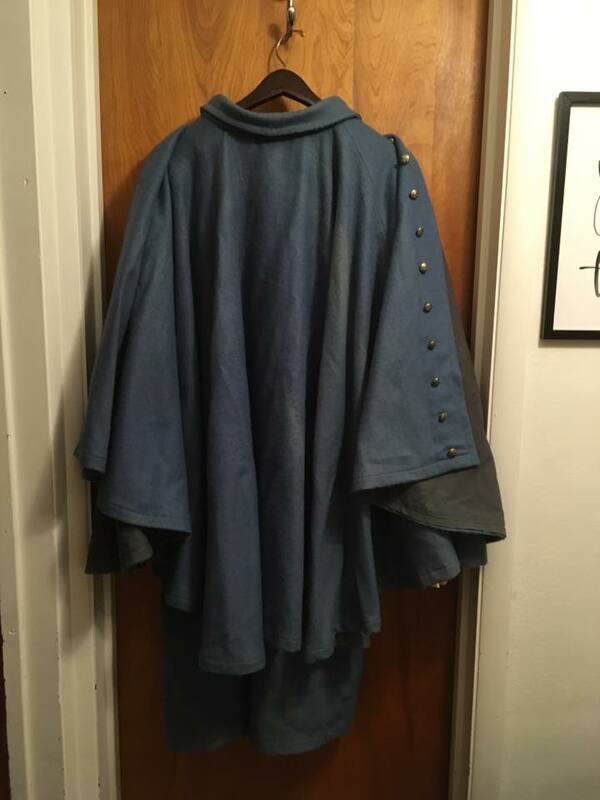 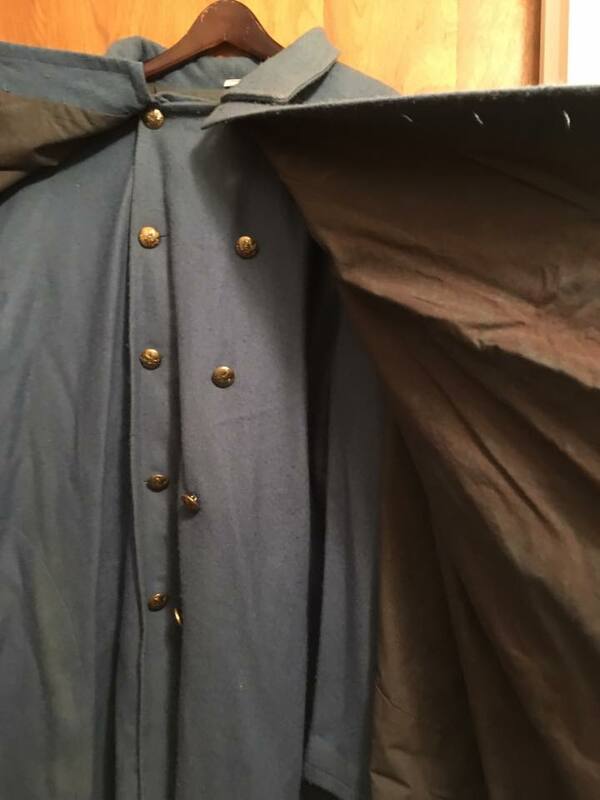 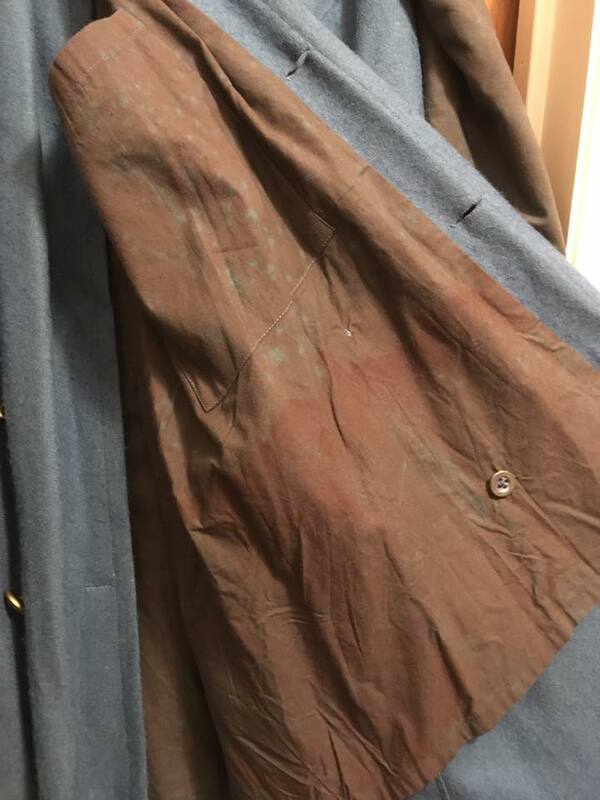 Maker is unknown, has some wear and fading on cotton lining inside and under the cape. 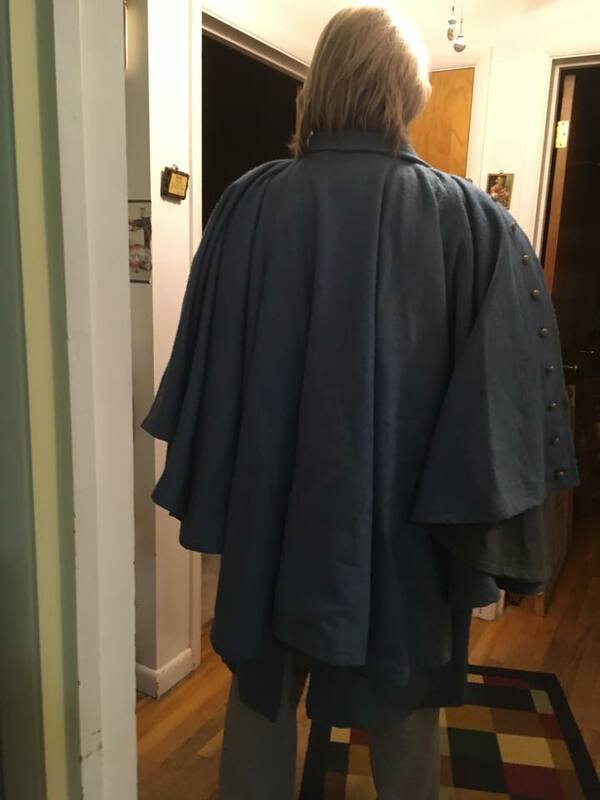 The cape is very large approx 4- 5yds of wool material just in the cape alone.